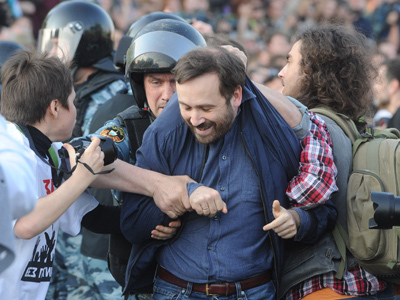 Several Russian opposition activists have called upon society to found a movement to counter “political repressions,” but refused to head it themselves as this would call their impartiality into question. 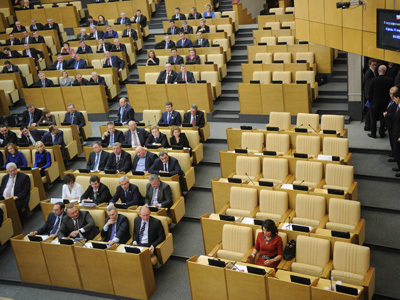 State Duma deputies Gennady Gudkov, Dmitry Gudkov and Ilya Ponomaryov suggested that the new movement be given the name Anti-Gulag. “We are using this tribune to call upon the citizens – the artists and civil activists – to found a public movement under the preliminary name Anti-Gulag. We think that leaders of the public and people with a spotless reputation must not only join the movement but also head it,” Gennady Gudkov told the press. At the same time, the MPs said that they would rather abstain from becoming leaders of the movement as this could lead to charges of bias. All three deputies represent the Fair Russia faction – the leftist party who claim they support President Putin’s general course, but criticize the parliamentary majority United Russia over methods. Gudkov went on to accuse the authorities of what he called “pinpoint repressions” and “the hunt for the opposition leaders,” but also claimed that tens of thousands of Russians were facing political repressions disguised as criminal and administrative cases, as well as disciplinary remands. “People are being fired, their businesses are destroyed, phony criminal cases are being started and people are being exiled,” the politician claimed, comparing the modern Russian law-enforcement system to Stalin’s NKVD, precursor to the KGB. Gudkov also said that he himself was ready to go to prison for his views. “I think we should not hide or be scared now, this is not the right time for this,” he said. 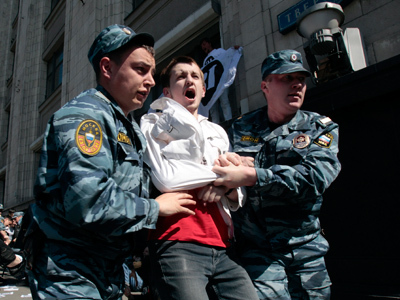 In mid-May this year United Russia suggested stripping the three MPs of their status and parliamentary immunity if investigators were to prove their complicity in the riots that took place during the mass rally on May 6. Protests against alleged election violations one day ahead of Vladimir Putin’s presidential inauguration erupted in violence. The case is still being investigated and the MPs remain at their posts. 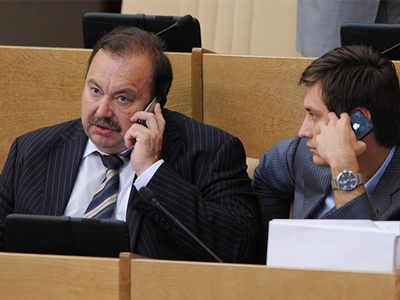 In early August, Russia’s Investigative Committee addressed the parliament and the prosecutors with a report that accused Gennady Gudkov of acquiring a stake in a commercial firm, thus violating the law that forbids Russian parliamentarians from involvement in any business activities.Dmitry Gudkov was also mentioned in the report as he is Gennady Gudkov’s son. In late May, police revoked the license of a private security firm belonging to the Gudkov family. The officials cited the reason for this as a violation of firearm storage rules. Both Gennady and Dmitry Gudkov said the move was revenge for their opposition course and participation in the protest rallies.